About: The company was started in 1950 it is family owned the partentss retired and the the sons took over in 1980's. They were able to grow the company and focus on equipment rental, event production and management. The company was started in 1950 it is family owned the partentss retired and the the sons took over in 1980's. They were able to grow the company and focus on equipment rental, event production and management..
1-303-963-9728The Wright Group is one of the largest Event Companies. We are a one stop shop. The sales rep. will be onsite for every event. 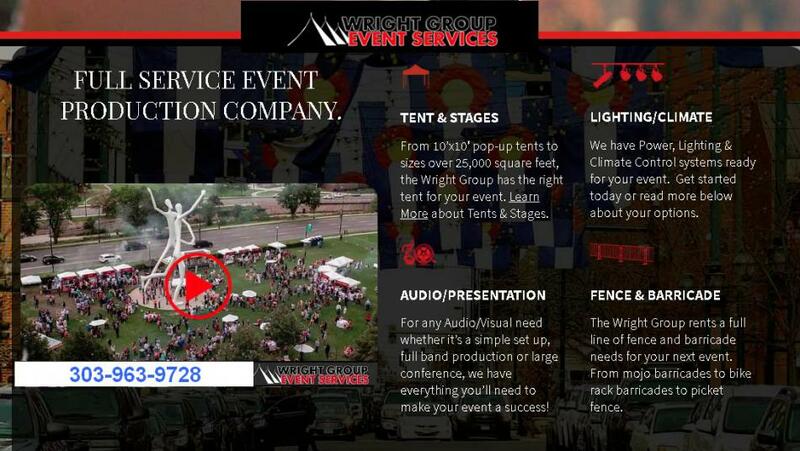 The Wright group has everything for every event and we have great service.